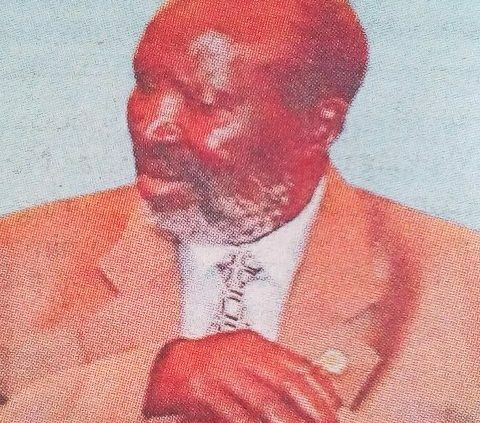 It is with deep sorrow and humble acceptance of Gods will that we announce the passing on of Mzee Joseph Ogwankwa Omari of Riamichoki sub location Masaba south sub county. Son of the late Chrisantus Omari Keronya and the late Mama Sophia Kerubo Omari, the late Nyaera, Masese, kwamboka. 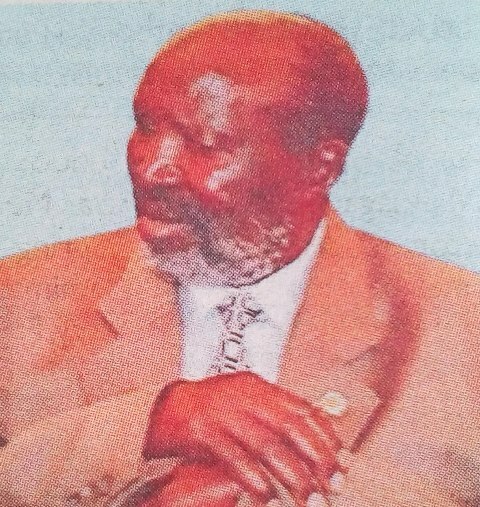 Husband of the late Mama Abigail Okenyuri and the late Mama Pauline Nyamboba. Father of Drusillah, Caren, the late Margaret, Evans (NYS) Alice, Gekonge, Alfred, the late Cliff, Kefa (USA), Appolo, Musa (KDF), Everlyn, Obande, Florence (Prisons) Arasa, Mackline, Onsarigo (USA) and Monica. Father-in-law of Ombuna, Okenye, Kenani, the late Doreen, Jane, Thomas, Beatrice, Rachael, Everlyn, Maggy, the late Risper, Alice, Alex, Kibet, Nida and Judy. Brother of the late Omae, the late Yosaria, the late Monica, the late Peter, Priscah, Marsella, the late Agnes, the late Thomas, Moranga, Catherine, Miregwa, Ratemo, Teresa, Gesare, Alice, Paul, John, Sabina and others. Cousins of Mose Juma, Charles, Benfred, Maranga (Irungu), the late Arasa’s, the late Makua’s, the late Otworis and others. Uncle of Mary, Stephen (prisons) Sammy, Richard, Ngina, Janerose and others. Son-in-law of the late Mr. and Mrs. Gisebe and the late Mr. and Mrs. Onsarigo. son-in-law of the late Maragia, Obiri, Nyakundi, Obino, Getembe, Ratemo, the late Col. Bichanga and others. He had 55 grandchildren and 47 great grandchildren. Meetings are being held at his sons home Ruai daily and garden square NBI. The main fund raising will be on 23rd April 2019 at Professional Centre, Nairobi. 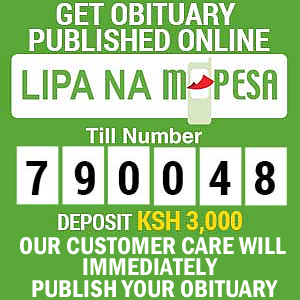 The cortege leaves Umash funeral Home on 25th April 2019 for funeral services and he will be laid to rest on 26th April 2019. I have fought a good fight, I have finished my race, I have kept the faith. 2 Timothy 4-7.